The Omni Health Marketplace offers products to help you with your journey. Feel free to search our catalog using the below search tools. 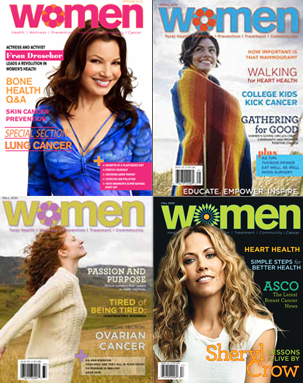 Subscribe now to the premier women’s health and wellness magazine covering prevention and treatment topics related to a variety of common women’s health issues including features devoted to nutrition, fitness, mind-body topics, cancer, arthritis, heart and bone health. Subscribers receive both a print magazine and online monthly newsletter.